When your basement floods, your first instinct is to quickly pump it out, but that’s actually more dangerous and problematic than you think. If you are uncomfortable with the DIY approach, call a professional service to do the job for you. This will save you a lot of time and be less costly than renting the equipment and hauling away damaged property yourself. Before you do anything, inspect the exterior carefully and turn off all electrical power, gas, and plumbing that goes to your basement. You’ll also need to ventilate the space by opening any doors or windows, if applicable. The sun will help to evaporate a small amount of the water and will give you light to better see while working. To start the cleanup, you’ll need the right equipment and tools, which include a pump, rubber boots and hip waders, dust mask, flashlight, rubber gloves and work gloves, and basic hand tools, like wrenches, pry bars, hammers, and drill-drivers. You’ll also need a shovel and plenty of fans. When you have your equipment and tools, don’t make the mistake of pumping out your basement too fast. Doing so might cause the balance between the walls and the soil, as well as hydrostatic pressure to become unbalanced and cause more damage. Start in the highest area where the water level is lowest. It’s often best to begin pumping out water where the floor level is the highest and the water is at its lowest level. You can then move incrementally to deeper areas. Shovel out mud and debris. You might well discover more than water has crept into your basement. Use a shovel to clean up any mud and debris so you can begin to dry out the space. Begin to dry out the space. As you pump out the space, you can dry it with old towels and blankets. In addition, you can use fans to help dry the space gradually. This will take time and you might have to call in a service. Clean up any damage. 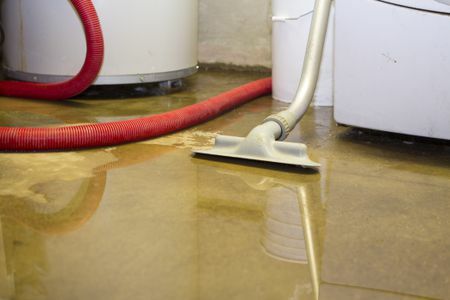 Water is an incredibly destructive force and can cause mold, mildew, and bacteria to grow. Remove anything that’s damaged, including trim, appliances, furniture, and flooring. If there’s a lot, phone a junk hauling and removal service to clean it out for you. Once your basement is pumped and dried out, you’ll have to give it a deep cleaning and monitor it for things like mold and mildew.If you need basement clean up, just phone 800-433-1094 or visit Junk Garbage Removal.